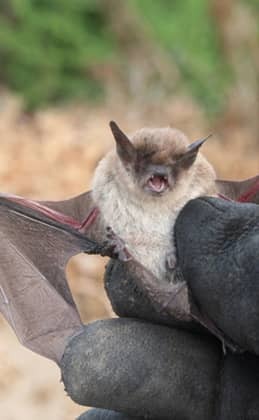 We can help you get rid of bats in your Clarksville, IN residential or commercial property! Our fully insured professionals use the latest technologies to extract bats from attics, crawl spaces, porches, garages, roofs, backyards, and more! With over 20 years of experience, we have all the knowledge there is to effectively remove bats in any situation and any size. Call us today at 502-553-7622 to learn more about how to get rid of bats in Clarksville, IN.